Sierra Dove Hunting Lodge is a favorite high volume Argentina hunting lodge. Located just outside of Cordoba, this Argentina hunting lodge offers high volume dove shooting year round. The dove hunting is fantastic but the trip is a favorite when you include the affordable lodge and fine dining and wine that is served by a long time popular chef who becomes the favorite part of this Cordoba dove hunt. 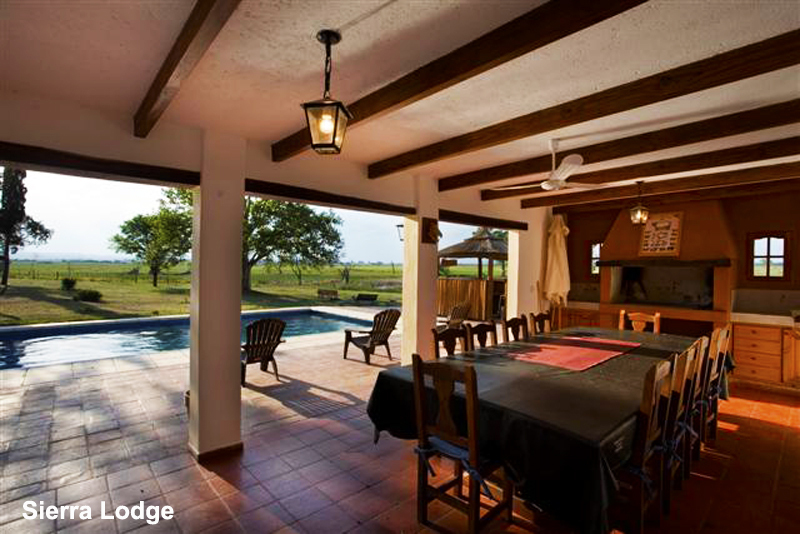 The lodge is a comfortable one with double occupancy bedrooms and pool for those that choose to dove hunt in Argentina during the summer months (December - February). Sierra Lodge is the perfect weekend getaway to enjoy good food - outstanding dove hunting - any weekend you choose to come. Sierra Dove Lodge offers quality hunting, accommodations, amenities, service and professionalism with low daily rates! Los Gauchos Argentina dove rates include guns and tips - this helps with the total cost of any Argentina dove hunting trip. For a great price - this lodge is the perfect dove hunting lodge. The Sierra Dove Lodge was recently renovated and is so comfortable and inviting that many guests consider Sierra Lodge their ?home away from home.? With exclusive access to some of the best fields in the famous Macha dove hunting area, Sierra dove lodge is the preferred Argentina hunting lodge for many of the world?s most serious wing shooters. Sierra Lodge with high volume dove hunting and pigeon hunting days (Contact Los Gauchos about Pigeon hunting at Sierra). After a day in the dove field enjoy the grill and appetizers with a selection of fine wines and local beer at this popular Cordoba dove lodge. 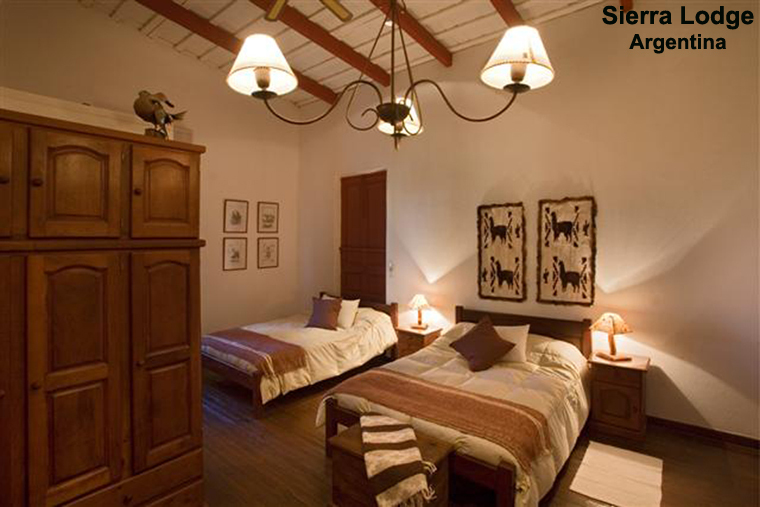 Double occupancy bedrooms at the Sierra Argentina Lodge. Comfortable and modern amenities such as wifi are available at this Argentina dove hunting lodge. Dining at the Sierra Lodge is a true asset to this Cordoba Dove Hunting Trip. Sierra is well known not only for the high volume dove shooting - but the fine dining and outstanding Argentina wines that are served every meal.